Everyone! I'm really excited to write this post because it's regarding something I've been wanting to do for ages but which I hadn't been able to find the time to fit in. I mentioned in this post my love of unusual cake ingredients, and I've been coming across more and more exciting and innovative cake recipes lately, incorporating the most fantastic veggies. So I have decided to hold a bakealong and I would be so excited for as many people to get involved as possible. 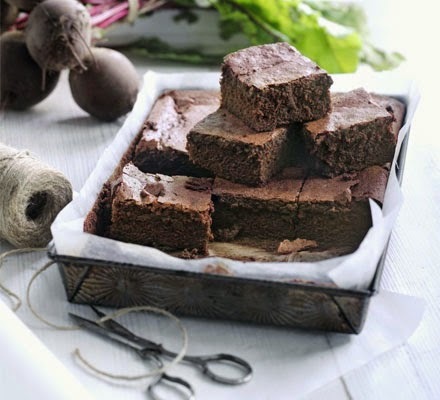 Between tomorrow, Tuesday 28th April, and Monday 4th May, choose a cake or traybake style recipe which includes a vegetable as its main ingredient. Bake it, photograph it, choose some willing recipients and consume! To make it even more fun, don't let on to your eaters that there is anything unusual about your cake and see if they notice anything. The most likely thing they will notice is the moistness, as cakes baked with vegetables are usually tremendously moist. Or, if there is a group of you who would like to bake, each bake your cake but don't reveal to each other what your secret ingredient is, and have fun guessing what each others are. Maybe you could hold an afternoon tea! Once you've taken your photos, post them on the Facebook page using the title "Veggie cakes bakealong" so everyone can see what you've made. You can join the event there too. Afterwards, I'll put together a blog post to showcase all your hard work. 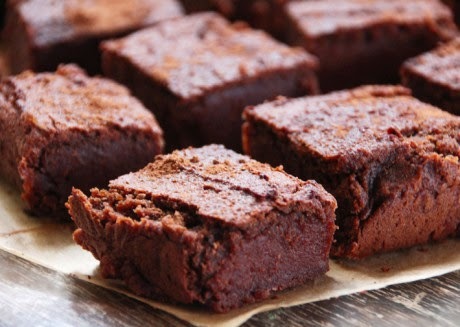 Since this is the recipe which inspired me to hold a bakealong, I'll share it as the first of a few recipes to help inspire you; Sweet potato brownies from Deliciously Ella. I absolutely adore sweet potatoes (though husb thinks I cook with them far too much, so I'll definitely be keeping this ingredient a secret until the first bite!) so this is an obvious choice for me. I purchased the required raw cacao from the fantastically named Beanfreaks health food shop on Albany Road in Roath, Cardiff, and the remaining ingredients from Tesco. Another simply delicious brownie recipe which I actually baked a couple of years ago is this beetroot brownie from BBC Good Food. Really, incredibly moist and delicious; I highly recommend it. 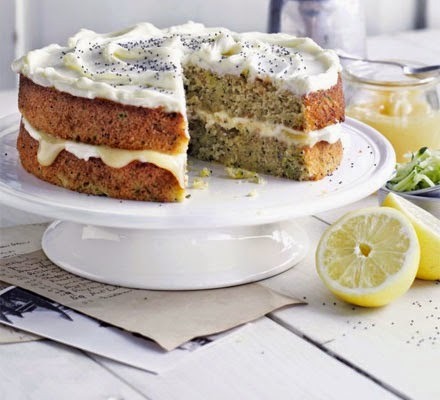 Another interesting Good Food recipe, for a cake this time, is this Frosted Courgette and Lemon cake. It really is as delicious as it looks; I've made it at least twice, though I do recommend you eat it on the day it's made. Another delicious recipe I've made a few times is the Hebegebe cake in River Cottage Cakes. It's a chocolate courgette cake and really is mouthwatering. So if you happen to own that book and haven't yet tried the recipe, now's the time! Please feel free to bake any cake you like though, based on the criteria. It can be from a book or online, from a supermarket free magazine or an expensive, glossy foodie magazine, or maybe handed down through many generations on a ragged piece of parchment. The idea is to experiment and have fun. I can't wait to see what you bake and eat!